Growing darkness is a small game made for the Ludum Dare 34 jam. 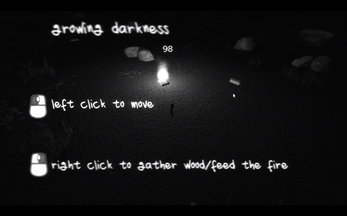 The objective is to keep the fire alive, to do that you can move the character around with left mouse click and collect wood with right mouse click, right click again near the fire to feed it. 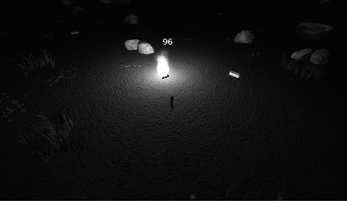 You can also lure the creatures that walk around the map to the fire to get extra time. 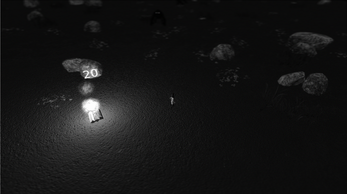 The game was made with Blender's game engine.